Developmental psychology, also known as human development, is the scientific study of systematic psychological changes that occur in human beings over the course of their life span. Originally concerned with infants and children, the field has expanded to include adolescence, adult development, aging, and the entire life span. 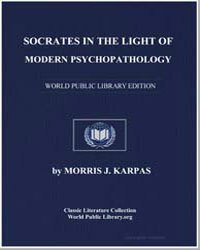 This field examines change across a broad range of topics including motor skills and other psycho-physiological processes; cognitive development involving areas such as problem solving, moral understanding, and conceptual understanding; language acquisition; social, personality, and emotional development; and self-concept and identity formation.